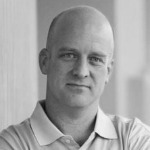 Steve Wright is Director of Grameen Foundation’s Social Performance Management Center. He is a keynote speaker for the upcoming SOCAP11 conference. This is the 2nd of a series of blog posts focusing on money and meaning (You may also want read Part 1). We’ve excerpted a section of the post below, with a link to the full post afterwards. Markets have natural laws, like physics. Capitalism is an ideology. Ideologies can be changed. I have always found it strange that social performance is predominantly perceived as a measurement problem. The reality is that great social enterprises don’t focus on measuring what matters; their priority ismanaging what matters. Measurement is an artifact of good management. To a large extent the obsession with measurement is a problem unique to socially-funded entities (by that I mean organizations with capital provided at a rate of return between -100% and about 6%.) Because the money is not earning as much as it might otherwise, it needs additional justification to be invested. An investor/funder wants to ensure that their money is well spent, that it earns a valuable return that includes both money and social impact. The social impact or non-monetary component of the return on the investment comes in the form of social metrics or measurement. However, as Kevin Jones, Co-Founder SoCap Conference, said to me recently, “Understanding the specific impact of a specific dollar invested is a pipe dream.” Even if it were possible to track a specific dollar’s impact, the overhead to do it would be significant and would subtract from the resources needed to achieve the impact. With this as a given, how do we build a marketplace when a marketplace requires comparability to understand relative value? For a for-profit entity this is easy. An investor gives an entrepreneur a dollar and sometime later gets $1.25 and rejoices at the 25% return on investment (ROI). The math is easy because the input and the output are the same thing: money. In a social enterprise, money is an input but it is not an output. Money is important because it dictates sustainability but profit is not the purpose of the enterprise; social impact is. A massive amount of work has gone in to replicating this math to calculate an SROI (social return on investment). The work of REDF, Jed Emerson, Social Venture Technology Group and others have taught us a tremendous amount about what is possible. A primary lesson from this SROI work is that there is no monetary equivalent to a universalunit of good. Moreover, it is not rational to equate a specific social outcome to the amount of money that was spent to produce that outcome. We cannot use a financial balance sheet to compare the relative goodness of a homeless advocacy group in Brooklyn and a fair trade cooperative in Peru. The Beatles said it best: Money can’t buy you love. >> Read Steve’s entire post at the SOCAP11 Blog. Luckshmi Sivalingam is a program officer in Grameen Foundation’s Solutions for the Poorest initiative, where she is managing a pilot program to expand income opportunities for the very poorest people in India. 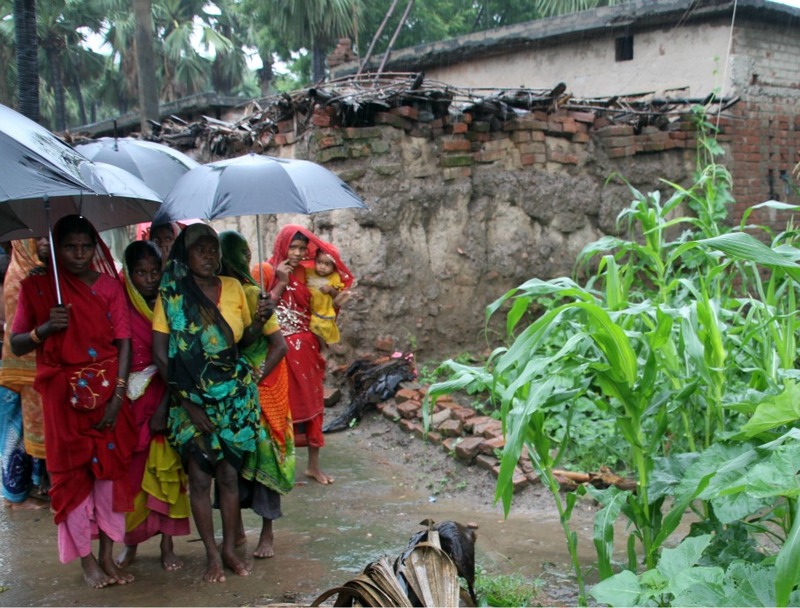 After what seemed would be a third year of dry spells during the critical monsoon season, the rains have finally come in Gaya district of Bihar, India. Agriculture is one of the primary revenue sources for both farmers and wage earners like the 200 households that Grameen Foundation is reaching through the Integrated Livelihoods Model for the Poorest (ILM) pilot project being implemented in partnership with BASIX/The Livelihood School. The rains bring increased wage-earning opportunities, which translates into enhanced income and food security for most poor rural households. To lessen the risks that come with erratic income-generating opportunities, Grameen Foundation’s Solutions for the Poorest (SfP) team is trying to gradually enhance the skills of the primary breadwinners of the households participating in the initiative, and connect them to more stable livelihood activities. These activities include supplementary income-generating opportunities that are often seasonal and low-skill, as well as entrepreneurial or productive activities that have a higher income-generating potential and often require increased skill sets and start-up capital. Through our project, we are promoting livelihoods by first enhancing existing supplementary income-generating activities or introducing new ones that can rapidly increase household income and enhance our clients’ self-confidence and trust in our project team and partners. Next, we will introduce new, entrepreneurial livelihoods that generate higher incomes and can sufficiently fill the gaps in income that the rural poor often experience throughout the year. Examples include rearing goats, poultry farming and selling vegetables. By using this approach, we move away from creating an immediate dependency on credit to meet daily consumption needs and avoid disrupting clients’ existing livelihoods. Over the past month in Gaya, we’ve held “exposure visits” for our clients to enhance their understanding of both the supplemental income-generating and entrepreneurial livelihood activities. These visits enable clients to visit another location to observe and learn from the other community’s activities and experience. Most importantly, they are able to see the various processes and participants involved in the entire chain of activities we will link households to. This deepens their understanding of the benefits and challenges of each activity and better informs their decision to commit to the “right” livelihoods for themselves and their households. Two weeks ago, our clients visited the neighboring village of Orr, where they met with women of the same socio-economic background who have successfully engaged in “kitchen gardening.” This method of small-scale vegetable production involves very little or no land, and mostly organic inputs. Home-grown vegetables significantly increase nutritional levels while also contributing to income, as families can sell excess produce. Our clients also received a demonstration on gunny-bag gardening, which is essentially a garden in a bag that grows along creepers against the walls and roof of the house. Before the visit, our clients doubted whether they had the capacity to start new activities, but after seeing how successful their peers have been, they said, “Now that we have seen them do it, we know we can do it too! And, we are ready to start!” Seeing really is believing. Dani Limos is a Marketing and Communications Intern at Grameen Foundation’s Seattle office. The dairy cow needed more calcium. 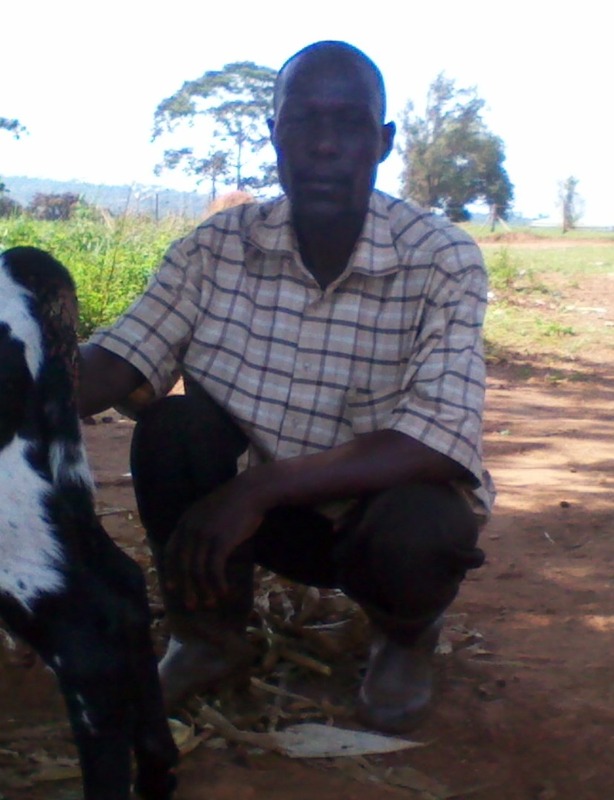 When Gonzaga Kawuma’s cow collapsed and could not stand up, Gonzaga was away from his farm. His wife called him on his smartphone with the disheartening news. Without seeing the cow in person, without conducting expensive tests, without being an expert in agriculture, Gonzaga was able to conclude that the cow needed more calcium. Why was this cow having trouble standing up? Gonzaga relied on his smartphone to diagnose its illness. This cow’s fall could have been caused by a number of ailments – muscle fatigue, arthritis, foot rot – but a shortage of calcium in a cow that produces milk? How could Gonzaga ever come up with such a diagnosis? Caused by a sudden shortage of blood calcium, milk fever causes the cow to stagger, experience difficulty rising, and finally become unable to stand at all. It often occurs when the cow gives birth, and the demand for calcium to produce milk exceeds its ability to do so. Gonzaga’s cow had given birth just three days ago. Gonzaga was able to save his cow – and his livelihood – thanks to the information he found using his smartphone. The information that Gonzaga had found suggested contacting a veterinarian for help. Taking advantage of his smartphone once again, he called a vet, who prescribed a calcium injection. The treatment was administered and the cow successfully recovered. 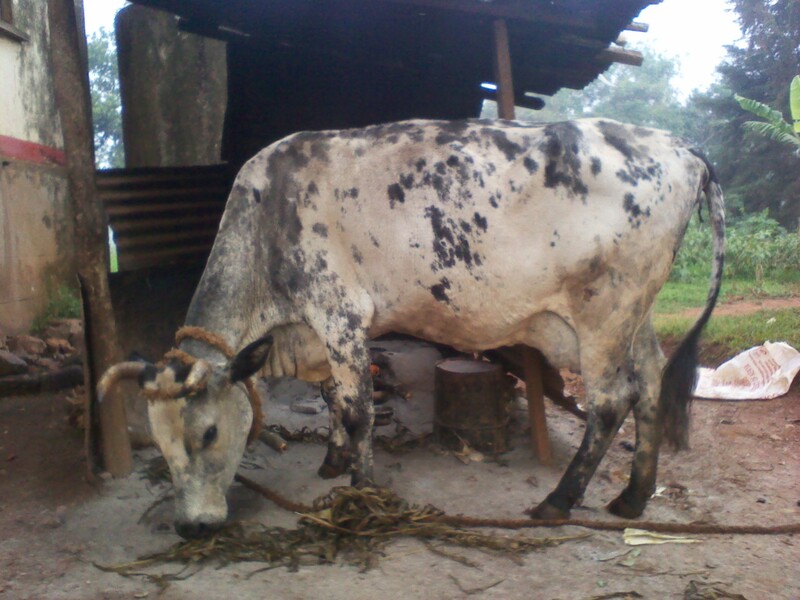 Thanks to Gonzaga’s CKW access, the cow is healthy and currently produces between 18 and 20 liters of milk per day! Learn more about our Community Knowledge Worker program in our previous blog posts, or read more at Grameen Foundation’s AppLab website. Steve Wright is Director of Grameen Foundation’s Social Performance Management Center. He is a keynote speaker for the upcoming SOCAP11 conference. This is the first of a series of blog posts focusing on the intersection of money and meaning. We’ve excerpted a section of the post below, with a link to the full post afterwards. Recently, a lot of great thinking has happened around the idea that business – and by extension the economy – should return value, in addition to generating profit. For example, Mark Kramer and Michael Porter wrote a very interesting piece on creating shared value that was also discussed in this New York Times article, “First make money. Also, do good.” Nestle Corporation is one of a growing number of companies that see shared value as an evolved form of corporate social responsibility. Customer capitalism (which focuses on providing value to the customer before the shareholder) is described in the Harvard Business Review as the third stage in the evolution of capitalism. (Professional management and shareholder capitalism are the first two.) And Umair Haque’s book, the New Capitalist Manifesto, describes “thick or authentic value” as the subtraction of total or real cost from the price a product can demand. This is a good thing; however, it is still within a largely amoral paradigm, where the mythology centers on the primacy of profit while – potentially, maybe, hopefully – “doing good”. This can also be seen in how we (social enterprises and investors) use the words “sustainable” and “profitable” interchangeably, depending on who we are talking to. “Sustainable” implies a primary focus on doing good, while “profitable” implies a focus on profit. My intent here is to make arguments that err on the side of doing good, arguing that we should focus on meaning before money.